If you are considering window tinting for either your business or residence, consider using the window film specialists from DESIGN PRINT PLUS first. We are a nationally leading installer of commercial and residential window films, and we have grown our business countrywide thanks to three simple factors: top quality materials (like our cutting-edge Huper Optik window films), industry-leading expertise (our team is made up of specialists boasting years of experience and frequent re-training), and dedicated customer service. We will work tirelessly to make sure our customers get the best pricing, the most efficient installation process, and have the overall best possible experience with our company. DESIGN PRINT PLUS fulfills the window tinting needs of businesses of all sizes, offering our broad range of commercial window tinting and security window film options. Whether you own a shop with a single storefront window that let’s in too much sunlight or whether you manage a large office complex in desperate need of window tinting to cut down on your HVAC costs, our team of window film installation specialists will complete your commercial window tinting job on time and on budget every time. Make your workplace safer against theft or natural disaster and give your employees the privacy they need to work in comfort with window films. DESIGN PRINT PLUS works with private homeowners all around America, making their residences cooler and more energy-efficient, safer and more private, and overall more pleasant. Residential window films can lower your electricity bills thanks to decreased need for air conditioning and they can offer you and your family greater privacy and security by tinting and strengthening your windows. We even offer colored, patterned, or frosted window films that will make your home even more unique and attractive than it already is. We only use high quality Huper Optik window films that were first developed in Germany and are now popular with window tinting customers worldwide. No matter if you are a homeowner, if you operate a one-off retail location with just a few windows, or if you manage a sprawling office complex with hundreds of windows, window tinting is a smart choice. You will see your cooling costs fall as up to 99% of the warming IR (infrared) rays of sunlight are blocked from getting into your property. Our window films also block out ultraviolet light that can fade carpeting and hardwood, bleach documents and artwork, and even damage skin. 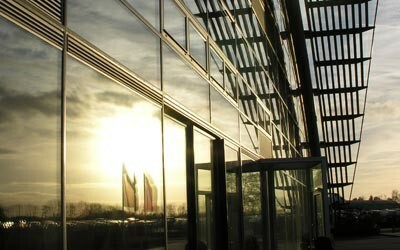 Don’t worry, our window tinting films still let in all the visible sunlight you love. 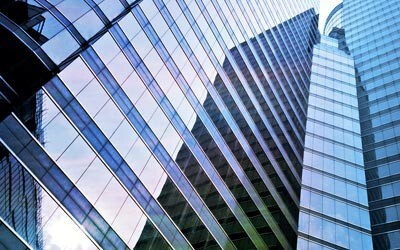 Security window film is one of the best investments you can make. Our security-enhancing window film will pay for itself the first attempted break-in is prevented, or when debris thrown aloft by gale-force winds crashes into the windows but doesn’t break through them. Security window film adds a strong layer to glass, binding it together and keeping even a shattered pane of glass as a strong, intact whole. 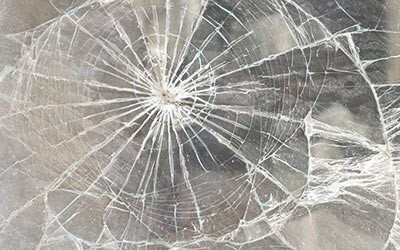 During break-in attempt or a storm, window films will keep you safe from shards of glass… and keep the criminals or weather that threatens you outside! A home or a workplace must be a safe, comfortable environment for all those within. Installing privacy window tinting is an affordable, easy way to make your property a more pleasant place in which to be – you’ll know that even as you enjoy a crystal-clear view out through the windows, no one outside can peer in and see you. We have tinted the windows for all types of clients, from gyms to schools, from homes to pediatric practices, and we would be thrilled if your property was the next we made that much more private and pleasant for all who are at work, at a meal, shopping, or just living their lives.